With sweeping views, countless comforts and handcrafted log design evoking the spirit of West. 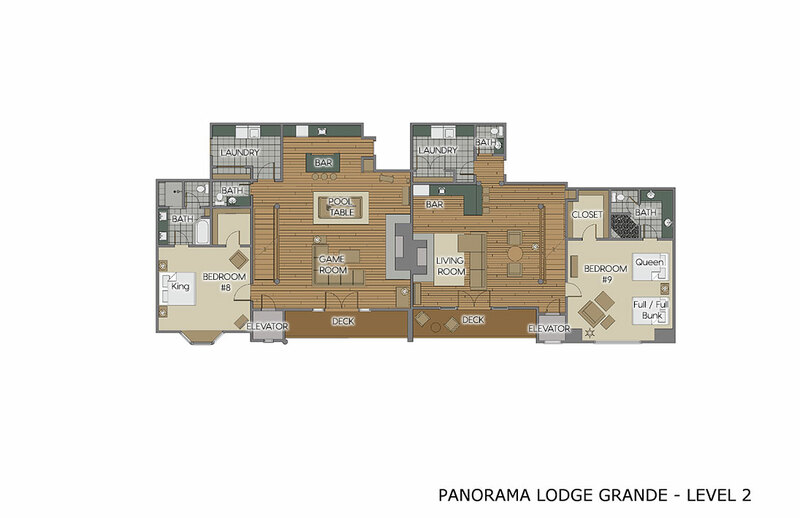 Panorama Grande offers a unique opportunity to hold large gatherings of family, friends or business associates in a luxurious and unforgettable setting. Perched on the southern shoulder of the Steamboat Ski Area, the 9 bedroom, 9.5 bath Panorama Grande comfortably sleeps 26 people. Custom-built by Montana Log Homes of Steamboat Springs, this stunning one-of-a kind property is one of the largest and most luxurious vacation rentals in Steamboat Springs. Your initial step into this spectacular home draws your gaze to vaulted ceilings, exposed log beams and custom log staircases. Glass-enclosed elevators on either side of the residence provide easy access to any of the three levels. Gourmet kitchens on either side of the residence are a chef's dream, featuring Wolf, Asko and Sub-Zero appliances, including a professional gas range with hood. Exquisite touches include slab granite countertops and islands, designer lighting and an abundance of alder cabinets with under-cabinet illumination. The butler's pantry in the northern half of the residence is like having a third kitchen with its additional stove, refrigerator, counter space and storage. The dining areas offer unrivaled views of the Yampa Valley. You'll relish the opportunity to entertain in fabulous great rooms that boast floor-to-ceiling stone fireplaces with wood storage insets, French doors to main balconies and high vaulted ceilings with exposed log beams. The northern side of this extraordinary home includes a private study with built-in bookcases on both ends of the room. Fabulous master suites on either side of this magnificent property include cozy stone fireplaces, high vaulted ceilings with ceiling fans, French doors leading to private balconies, walk-in closets, and luxurious 5-piece master baths with intricate tile work, steam showers and oversized soaking tubs. On the south side there is a king bedroom and a room with 2 queen beds on the upper level. On the lower there is a bedroom with a queen bed and a full over full bunk bed. 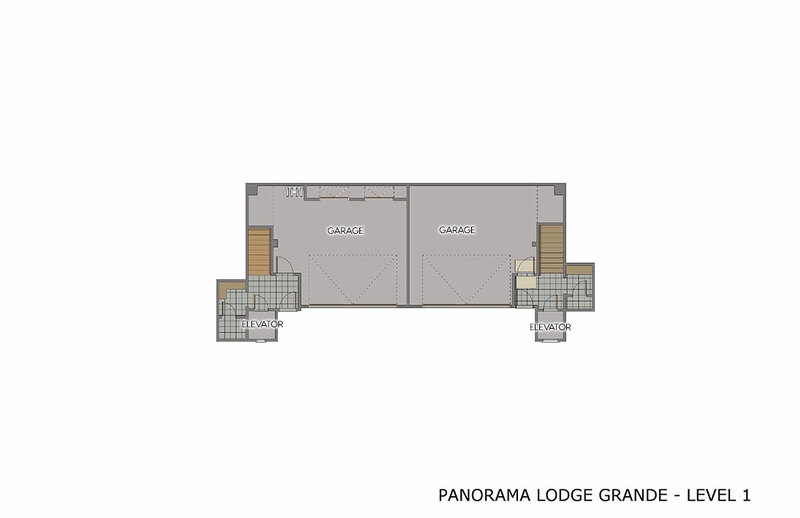 On the north side there are 2 bedrooms with king bed and one with 2 full over full bunk beds on the upper level. On the lower level there is a bedroom with a king bed and for additional guests there is a queen sleeper sofa in the den. Each bedroom has its own bathroom with plush towels and high-end toiletries. Gorgeous wood floors highlight both sides of the house. Family rooms on the lower levels feature stone fireplaces and French doors leading to additional balconies. Wet bars with refrigerator, microwave and dishwasher are located on both the north and south sides of the home, with the north side featuring a pool table as well. The private back yard features a pair of outdoor hot tubs to soothe any aches and pains. 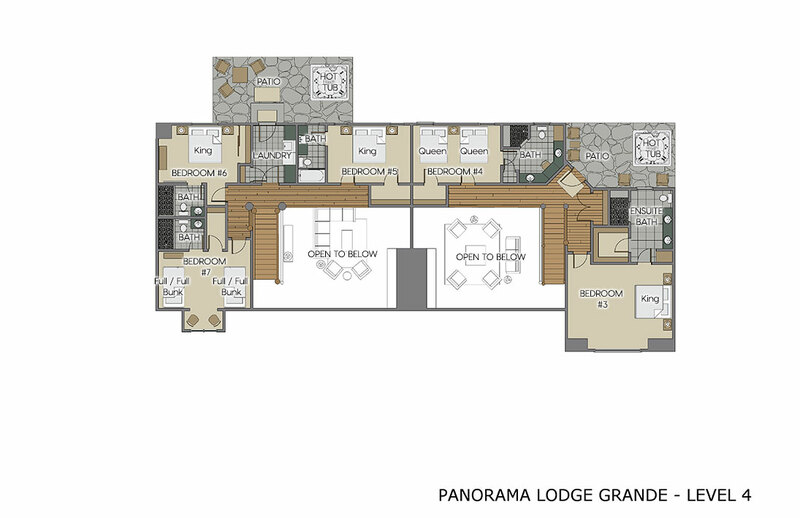 Located in the high-end Ski Trail Lane neighborhood among some of the finest homes in Steamboat Springs, Panorama Lodge offers large groups an incomparable blend of Western ambiance and total luxury - along with a convenient location and breathtaking sunset panoramas. 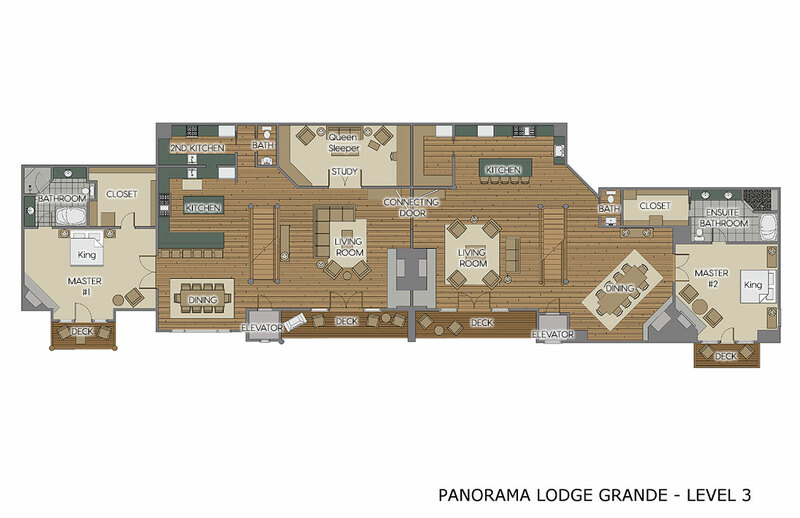 You and the other members of your group are sure to cherish a stay at the Panorama Lodge for years to come. 4K Ultra HD TV 55"